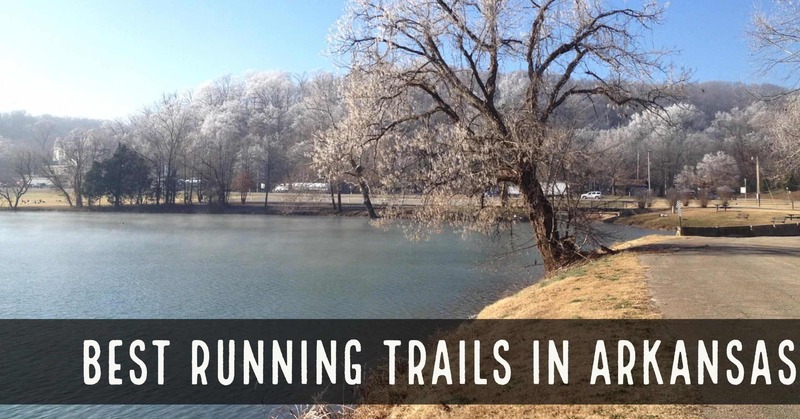 Arkansas offers a variety of running trails for all levels of runners. The state of Arkansas contains approximately 70 trails totaling 205 miles. Some trails go through lush scenery, while others offer breath-taking views of major cities. The greenways in Arkansas provides a collection of "mini-trails," so runners can customize their own routes. 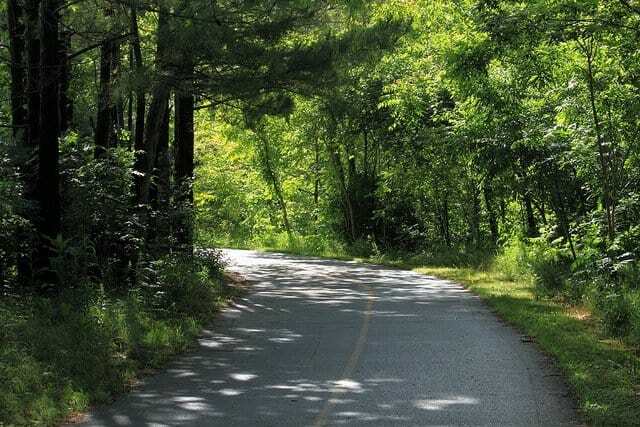 This article provides details on popular trails and greenways in Arkansas. The Arkansas River Trail is a hub of options for runners. There are a couple reasons why the Arkansas River Trail is ideal for runners. The first reason is there are other trails that branch off of this trail. There is a looping trail that extends five miles to Pinnacle Mountain State Park. Branching off of the Big Dam Bridge is a 14-mile loop through Murray Lock and Dam. In addition, there are trails in the North Little Rock area that goes through the downtown area to Murray. The second reason why this trail is fitting for runners is its lush scenery. The Arkansas River Trail runs through over 5000 acres of parklands that feature diverse habitats and landscapes. With these reasons being said, it's never a boring run on the Arkansas River Trail! 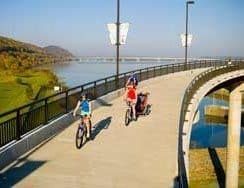 The Arkansas River Trail is located in central Arkansas. The trail's current length is more than 12 miles, and it runs through Little Rock, Maumelle, and Conway. The expected completion of the trail should yield a total of 24 miles. This is flat, all levels loop trail with an elevation gain of approximately 488 feet. More information about the trail can be found here. A comprehensive map of the trail can be found through the All Trails website. Having lived in North Little Rock, this is one wonderful trail to run and is popular among the locals. The Back 40 features 40 miles of brand new natural surface, multi-use trails. The Back 40 is an excellent choice for runners who are looking for a challenge and/or prefer a natural trail over cement. 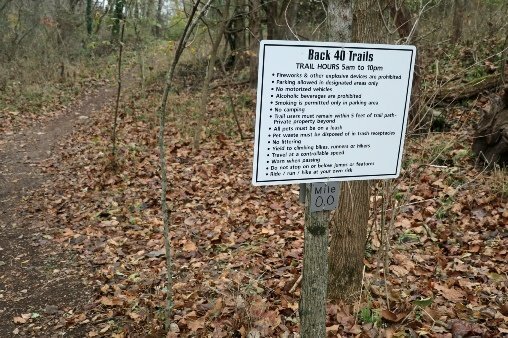 There are a plethora of other trails that branch off of the Back 40 ranging from intermediate to expert level in difficulty. Some examples of tributary trails include the Flo Ride, which extends 2 miles and categorized as an intermediate trail. Then, there is the expert level trail called The Ledges, which features a hanging bridge. The Back 40 trail system is in the Bella Vista community. The land was untouched, and the community wanted to put it to good use and add trails. 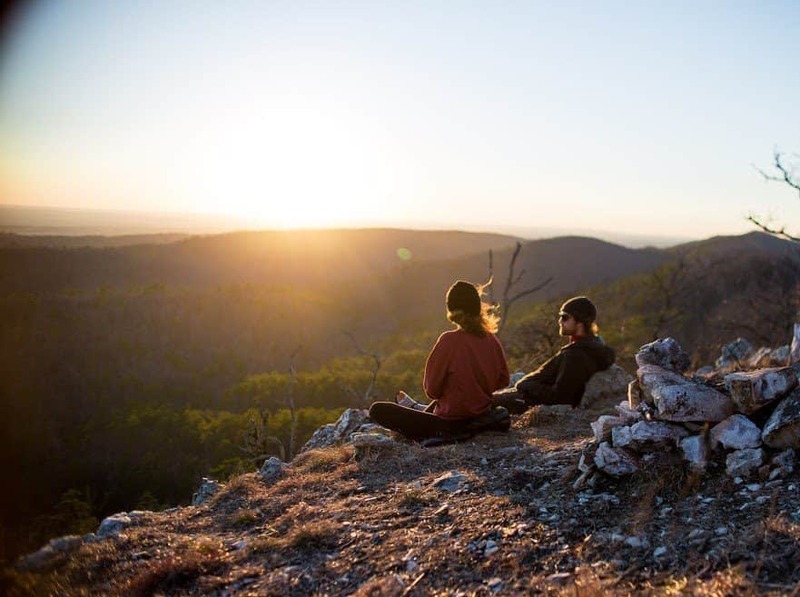 The community advocated for the trails to help their local economy by attracting tourists. They also wanted to expand their community by enticing families to move to Bella Vista. The trail goes through wooded areas and housing communities. There are three trailheads to enter the Back 40: Buckingham, Lake Ann, and Bear Hollow Trailheads. In my opinion, the trail is about 94% runnable, so precaution should be taken when running the trail. The Back 40 is classified as a single track trail. Information on the trail's elevation gains and drops can be found here. Printable and online versions of the maps can be found through here. This trail also hosts an annual Back 40 Trail Race. Here is a video of some trail racers preparing for the Back 40 Trail Race. 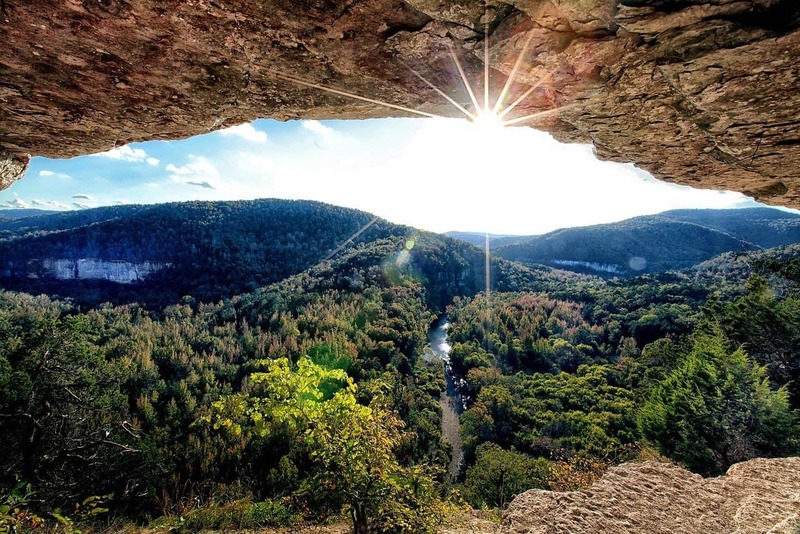 The Buffalo River Trails features 12 miles of breath-taking scenery. The trail starts close to Whiteley Cemetery in Boxley Valley. It’s a windy trail that goes through bluffs, gravel bars, and banks that hug the Buffalo River. The trail leads to a set of waterfalls. Besides the breath-taking views, there are a few reasons why runners prefer this trail. The Buffalo River Trails present a satisfying challenge for runners who like a lightly populated trail. It is also an optimal trail for runners who are training for ultra-marathons. It is home to the annual Buffalo River Biathlon, and it attracts hundreds of racers each year. The Buffalo River Trails offers a variety of tributary trails. An example of a tributary trail is the Old River Trail, which goes through multiple river crossings. I personally like running on the tributary trails to scope out good fishing spots along the river. The Buffalo River Trail is sectioned off into three districts: upper, middle, and lower districts. The elevation gain of the trail is approximately 2283 feet. It is an out and back type of trail. The trail is nestled in Buffalo National River Park near Harriet, AR. The park is about 95,000 acres, and each trail district has its own entrance. More information about the trail and maps can be found here. 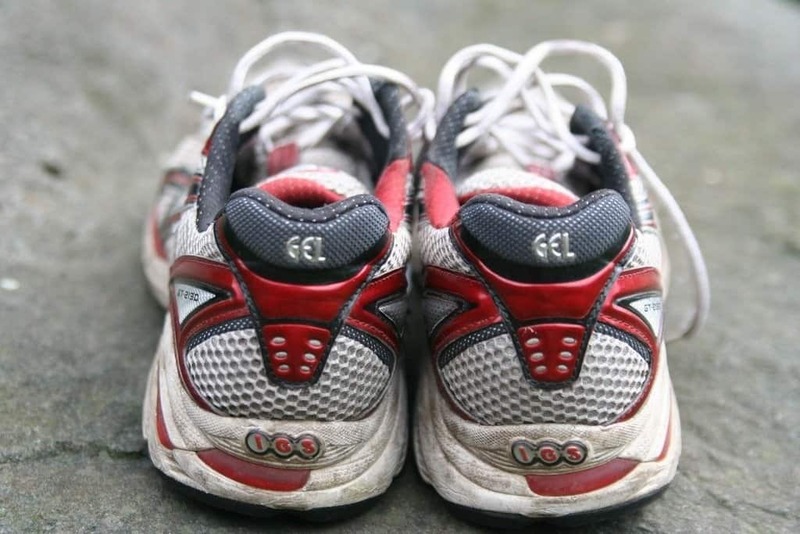 The Delta Heritage Trail is favored by runners because it is rarely used and well maintained. It is 14 miles long, and it runs through Lakeview Community and Helena Junctions. The trail's composition is a mixed of crushed rock and smooth pavement. The trail is a trail-to-rail conversion acquired by Arkansas State Parks. It is located in eastern Arkansas's Mississippi Delta. It is an easy level trail with an elevation gain of 177 feet. More information on the trail's stats can be found here. The Eagle Rock Loop is for experienced and advanced level trail runners. It is considered one of the most challenging courses in Arkansas, and runners need to take precaution when running this trail. My cousin reported some areas were muddy and flooded out one year. For runners who want a visual to see where precautions should be taken, the Survive Without Outdoor Group made a video of the trail. The loop is about 25 miles long, and the direction is counter-clockwise. The terrain's attributes are lush river valleys and steep rocky mountains. It is lightly trafficked and contains many features. Some of those features are river crossings and Little Missouri Falls at mile 6. There is also the Winding Stairs and Little Missouri River crossing at mile 22. At the end of the loop, there is a 300-foot climb to Albert Pike. Eagle Rock Loop is located in the Ouachita National Forest near Caddy Gap, AR. The elevation gain is 4783 feet. There are 5 trailheads, and directions to these trailheads can be found through the All Trails website. A map of the loop can be found through the Pack and Paddle website. The Lake Fayetteville Trail is a popular multi-use trail suitable for all levels of runners. 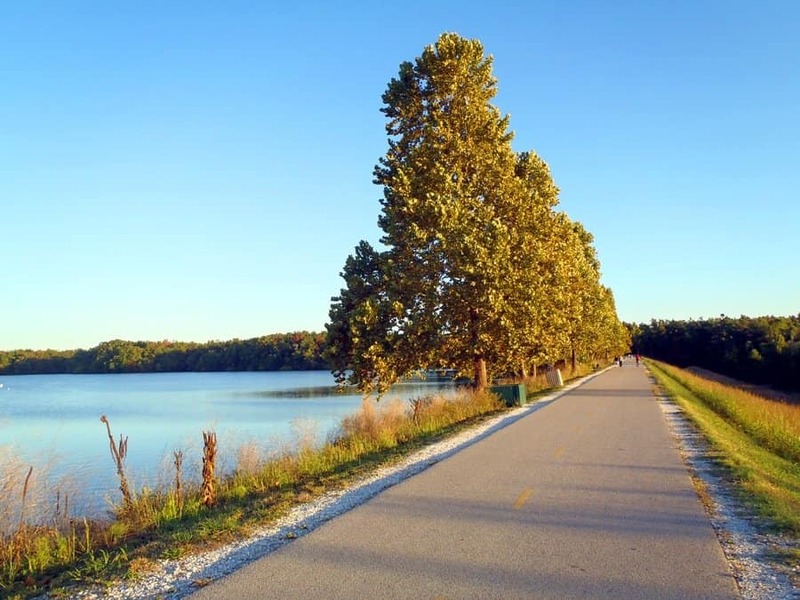 The trail encircles Lake Fayetteville and presents beautiful views of the lake. The trail also passes by the Botanical Gardens of the Ozarks, which provides a natural setting. The scenery is not the only feature that attracts runners. The Lake Fayetteville Trails links with other trails, such as Razorback Greenway, Clear Creek Trail, and Scull Creek Trail. The linkages supply runners with options for custom running courses. My cousin and I were able to run on the Lake Fayetteville Trail from the greenway. Another perk is the entrances to other trails are well marked. The trail is a loop style and seven miles long. Some characteristics of the trail are twisty and mostly flat. A detailed map of the trail can be found through The Northwest Arkansas Trails website. To get a visual feel of the trail, check out the City of Fayetteville’s video. The Razorback Regional Greenway is a collection of 19 trails. The 19 trails offer a variety of courses for runners of all levels. Each trail has its own distinct characteristics; for example, the Wishing Springs Trail is a concrete trail that traces along the McKisic Creek. On the other hand, the Town Branch Trail goes through a neighborhood in Bentonville, AR. I had the chance to run part of the greenway with my cousin. I wish I had more time to see more of it. More information on other Razorback trails can be found here. The Razorback Regional Greenway is 36 miles long and runs through Benton and Washington Counties. 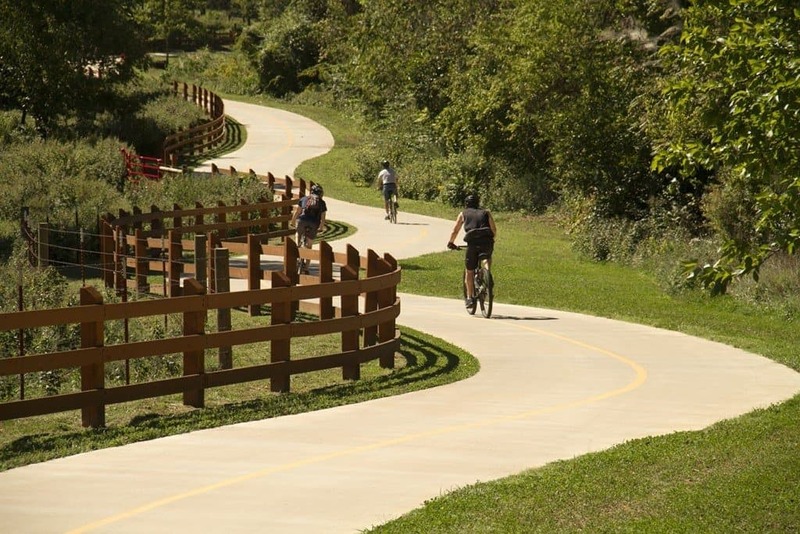 It is a paved, rail-trail that starts in Bentonville and ends at Fayetteville. It offers impressive scenery to runners, and some of its characteristics are extraordinary bridges, creeks, farmland, and wooded areas. There are sections of the greenway that goes through downtown areas and major landmarks, such as the University of Arkansas. The Walton Family (Wal-Mart) Foundation won the award for the “Faces of Transportation” video contest. Check out the video they made of the Razorback Regional Greenway. The Mud Creek Trail offers runners a short course through nature. Runners do have the option to extend their run past 2 miles because the Mud Creek Trail links with Scull Creek Trail and Lake Fayetteville. The trail stretches from Old Missouri Rd to Steele Blvd. It is 10 feet wide and paved. 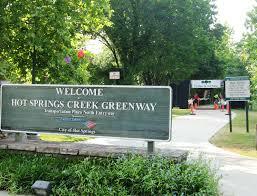 The Hot Springs Creek Greenway Trail is an option for runners who are looking for a quick run or an entry-level course. The trail provides two miles of unique features. Some of those features include scenery from the sculpture park, downtown Hot Springs, and Hot Springs Creek. The trail is still under construction, and the expected total length is 4 miles. It is an out and back trail that is moderately trafficked. The Seven Hollows Trails offers runners 4.1 miles of sweeping views and overlooks, as well as a grotto waterfall. One of the overlooks off of the Seven Hollows Trail is Stout’s Point, which is a well-known overlook in Petit-Jean State Park. It also has geological features, such as natural stone arches, rock shelters, prehistoric bluff dwellings, and box canyons. 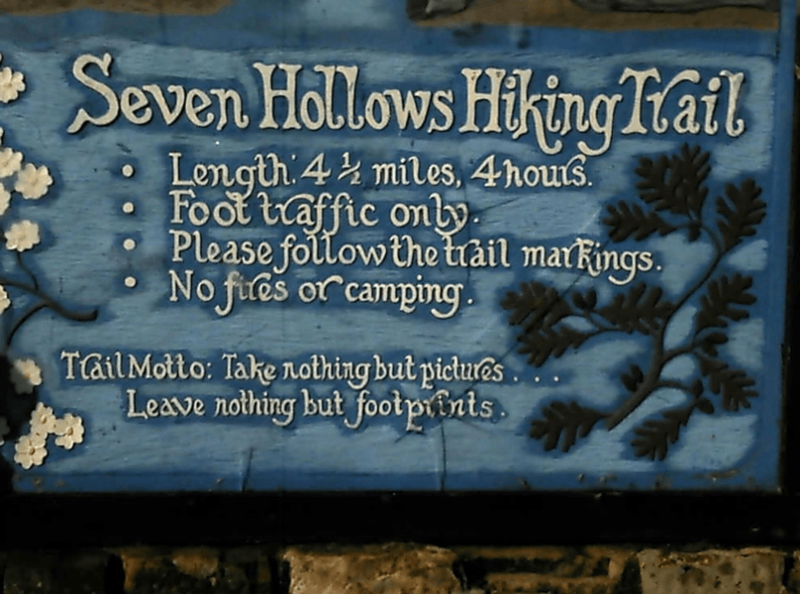 The Seven Hollows Trail﻿﻿ is moderately trafficked loop trail that ascends over 1000 feet above the Arkansas River Valley. It is loop type trail rated as easy to moderate with an elevation gain of 849 feet. It is located in Petit﻿﻿-Jean State Park near Morrilton, AR. The All Trails website has a detailed map of the trail. There you have the 10 best trails for running in Arkansas.